People who are looking for ways to get closer to a natural diet often wind up turning to paleo. The paleo diet has lots of dos and don'ts, and it can be hard to predict what foods are allowed and which ones are verboten. Paleo, in general, takes a harsh stance against sweeteners. But, what about honey, which is a completely natural sweetener, and ones our paleolithic ancestors probably used? Understanding more about honey, as well as the philosophy behind paleo eating, can help you make the right choice for you and your optimal level of health. The Paleo diet, which is also sometimes called the caveman diet, involves eating foods in their most unrefined and original forms. The diet restricts or completely eliminates many categories of food that adherents say were not available to paleolithic man. The idea behind paleo is that our bodies are optimized for these natural foods. Newer hybrids and food sources developed later in our evolution, so we would not be able to properly digest these. The theory goes that, by bringing our diets back to an earlier, more natural state, many modern diseases can be avoided. The diet is rich in foods like grass-fed meats, leafy greens and other fresh vegetables, nuts, pastured free-range poultry, wild-caught fish and occasional snacks of fresh fruit. Foods like grains, legumes, processed sugar and vegetable oils are either limited or eliminated completely. While much of paleo is still controversial, there is no argument that white sugar and highly processed grains are unhealthy. When people are removing processed white sugar from their diet, they often begin wondering how to substitute and what sorts of sweet foods are allowed on paleo. Does honey make the cut? 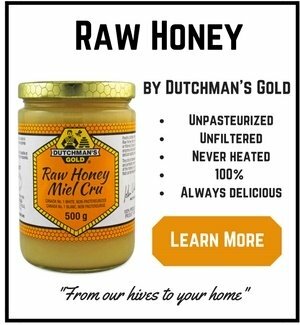 Would Paleo Man have Eaten Honey? Honey is, in its raw form, a completely unrefined sweetener. 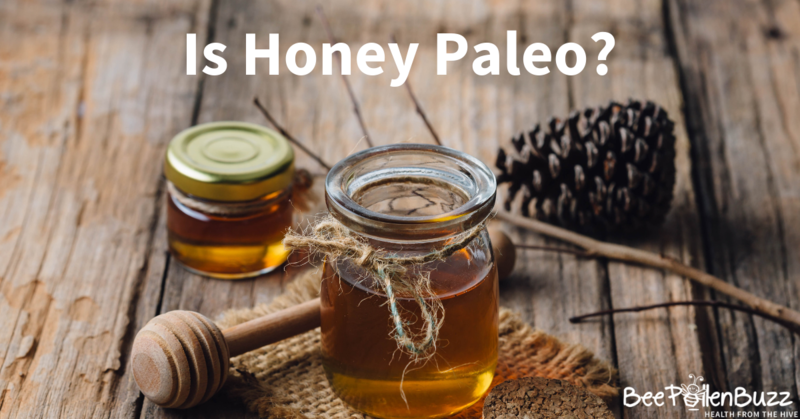 Researchers generally agree that paleolithic man had access to honey and, in fact, sought it out. Modern peoples who still follow diets like those from the paleolithic age will often go to great lengths to acquire this sweetener. There are good reasons for this. First, we are geared to seek out sweet foods from birth. Honey is one of the most energy dense foods found in nature. Plus, there are many health benefits associated with honey that just aren't found in other sweeteners. The paleo diet requires eliminating many foods that are common in mainstream modern diets. Often, this requires substitution. For instance, almond flour may be used in place of traditional white flour based on wheat. When it comes to sweeteners, honey is a natural choice to replace white sugar. In most cases, honey can be substituted in recipes by following a simple formula. For every cup of sugar that a recipe calls for, you can substitute 1/2 to 2/3 cup honey. You should also cut the amount of other liquids in the recipe by 1/4 cup for each cup of honey. Liquid sugars like corn syrup can be substituted one to one. Using honey, in moderation, allows people to enjoy some sweetness without the high levels of processed sugar found in mainstream diets. It brings both pleasure and health to each snack or meal. While many people realize that too many carbs are not good for you, there are also arguments that not all carbs are created equal. Sugars, for instance, are said to be used by the body in different ways. Glucose is the sugar that fuels the brain. It is also stored by the body in muscles for efficient use during athletic activities. Fructose, by contrast, must be processed by the liver before it can be utilized. Because of these, many people who eat paleo say that fructose should be avoided. One of the arguments against honey in the paleo diet is honey's very high fructose content. While actual totals depend on the hive location, bee diet and the time of year, honey is generally about 38% fructose. By contrast, table sugar is 50% glucose and 50% fructose. Another way to think of the fructose content in honey is to compare it to the fructose content of other natural foods. A tablespoon of honey provides eight grams of fructose. This is about the amount provided by a medium apple, a couple of cups of strawberries or one peach. The fruits above also have vitamins, minerals and fiber that are provided in each serving, which honey does not. However, honey has many other components that contribute to human health. There are about 180 compounds found in honey that support the immune system and may even help protect against diseases like diabetes. In studies, honey consumption has been shown to be linked to immune response. Mice who eat honey regularly, for instance, were found to have a stronger antibody response when exposed to e. coli bacteria. This action could potentially help the body fight off microbial invaders. Honey can help fight seasonal allergies. In one study, people who were allergic to birch trees were fed honey that contained birch pollen. 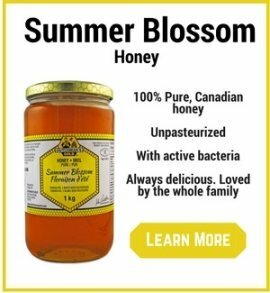 Those who consumed this honey were less likely to report allergy symptoms throughout the birch trees' blooming season. Some studies also show that honey consumption helps with blood lipid levels. In a study, some participants were given genuine honey while others were given a syrup that mimicked honey's glucose/fructose ratio. 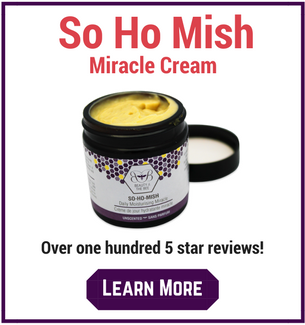 The ones who received the genuine article showed lower levels of harmful LDL cholesterol and triglycerides. And, this is a sweetener that, instead of negatively affecting blood sugar levels, actually seems to improve them. Honey doesn't require insulin to be processed by the body. As a result, there are many who think it could be an antidiabetic food. Despite the many benefits, it is also necessary to remember that honey is nearly pure sugar. A high sugar diet is not a good thing, no matter how healthful the sugar source. To get well-rounded health benefits, it's also a good idea to include other bee products in your diet. Unlike honey, products like bee pollen, royal jelly and propolis contain little to no sugar, but pack plenty of substances that support human health. Adding a little of each to your daily intake can give you many benefits without having to worry about the effect of fructose consumption. However, adding a couple of tablespoons of honey to your diet each day not only adds sweetness but can give a valuable boost to your health. Moderation is key. Eating just the right amount to get the benefits without pushing your sugar levels too high is the best path. By incorporating honey, you can enjoy the sweet things in life, while also doing some good for your health.